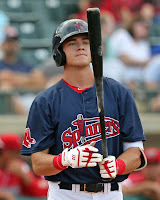 Michael Chavis continued to show off his power on Wednesday with another home run in a 7-6 loss to the Orioles. Chavis, as highlighted by John Tomase of WEEI, has overcome many setbacks both on and off the field during his career, but due to a trust in his own abilities, is now on the cusp of breaking into the major leagues. In a feature done by the Boston Globe’s Alex Speier, Bobby Dalbec (pictured, right) discussed how his time with the Cape Cod League’s Orleans Firebirds has shaped his approach to hitting. Dalbec talked about how he became an adherent to the Ted Williams school of hitting, a connection he shares with fellow slugger J.D. Martinez. On the field Dalbec has started at both first and third base while continuing to rake, raising his average to .500. More importantly, Dalbec still hasn't struck out so far this spring. On the mound, Travis Lakins, Darwinzon Hernandez, and Colten Brewer each made their debuts. Brewer had mixed results during his outings, striking out five over two innings while giving up three earned runs. Lakins and Hernandez fared better in their appearances, each firing two scoreless innings while striking out one and three batters respectively. Red Sox minor leaguers have seen plenty of action early in Boston's first three games of 2019, with top prospect Michael Chavis (pictured) standing out. He is hitting .600 with a pair of three-run home runs, one to left field and one to the opposite field. 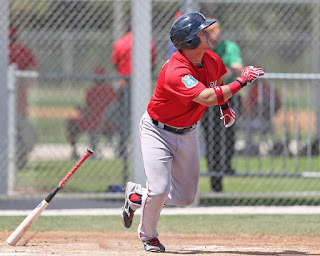 Bobby Dalbec has also been impressive, as he has reached in all three of his Grapefruit League at-bats with a single and two walks after homering to dead center against Northeastern. Tate Matheny has also been hot, going 2 for 4 with a home run in two Grapefruit League games. On the mound, Travis Lakins tossed a pair of scoreless innings despite allowing three hits. Denyi Reyes allowed a run in two innings of work. Christopher Smith of MassLive.com recently wrote a feature on Reyes, where Alex Cora is impressed with the right-hander's pitchability. 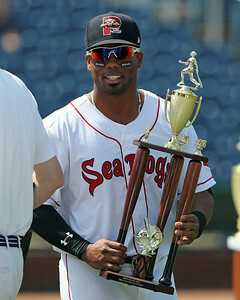 With games starting on Friday there will soon be a lot more news and updates on Boston’s minor leaguers. Mike Shawaryn (pictured) will get the first start of the spring, squaring off against Northeastern University. 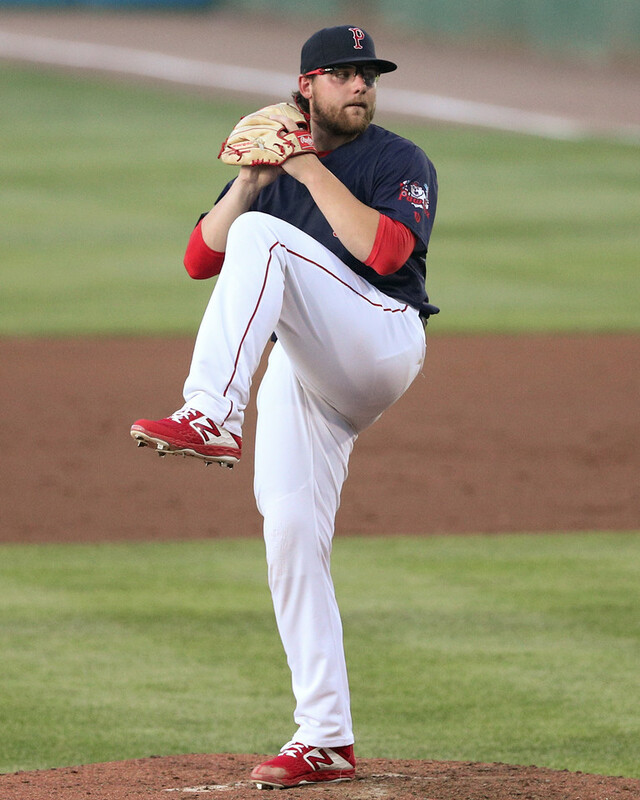 Christopher Smith of MassLive.com talked with Shawaryn about his 2019 outlook and what it was like to pitch out of the bullpen in the Arizona Fall League (AFL). Smith also had an interesting note on Darwinzon Hernandez, who has been pitching alongside the major league rotation this spring. 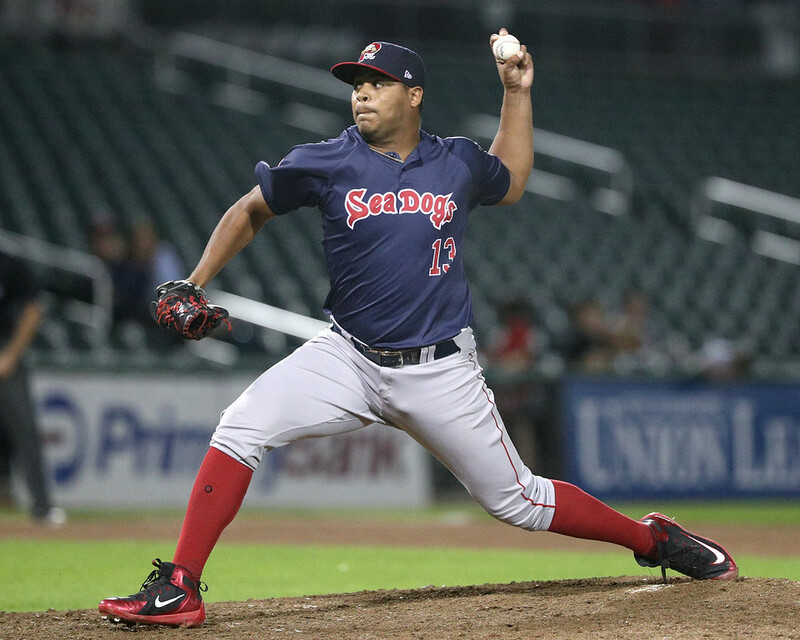 Red Sox manager Alex Cora was surprised by the impressive spin rate on Hernandez’s curveball. It’s not too surprising to the fans who followed Hernandez this offseason, as MLB.com noted that Hernandez’s fastball had the highest spin rate in the AFL, and only two players had a breaking ball with a higher spin rate. Today marks the first full-squad workout this season for the Red Sox. Pitchers and catchers reported on the 13th, and the first game will take place this Friday at 1:05pm against the Northeastern Huskies. It's hard to contain the excitement of the SoxProspects.com podcast team with Ian and Chris recording another episode on Friday taking questions from readers via email and Twitter. Some topics covered were the timeline for Michael Chavis’ debut, Ian talks about the ultimate role of Mike Shawaryn, they discuss the Trey Ball hitting project, and note that Jay Groome is throwing again. During the pod, they also discuss some of the recent prospect rankings. One of which was ESPN's Keith Law where he did not rank any Red Sox prospects in his top 100 and also did not mention one in his Impact 20 for 2019. However, one did make his list of players who just missed the top 100, and that was lefty Darwinzon Hernandez (pictured, above) where Law touts the improvement of his stuff but worries about his below average command. Finally, he ranked the 30 teams farm systems and put the Red Sox at 24 for the second year in a row where the positives are the 2018-19 class of draft, and international signings but the negatives are the graduations and injuries to the top prospects in the system. Pitchers and catchers have begun to arrive in Fort Myers. Baseball is back and so are we. Chris and Ian bust open the mailbag to answer your questions. Would the Red Sox ever use an opener? Chris and Ian go deep on that, and the state of starting pitching development in the Red Sox system. The guys bat around some timelines for Michael Chavis’ debut. They look at the bullpen (again). Ian talks about the ultimate role of Mike Shawaryn. They discuss the Trey Ball hitting project. Jay Groome is throwing again. And finally, Chris and Ian take a look at the latest Sox system rankings from Keith Law at ESPN.com and from Kiley McDaniel and Eric Longenhagen at Fangraphs. Pitchers and catchers reported for spring training on February 13, and that signals the return of the Fort Report. These articles will run every Monday and Thursday through the end of spring training, at which point we will transition back to our Minor Notes columns. On the most recent episode of the SoxProspects.com Podcast, Chris and Ian scored an interview with Red Sox VP of Amateur Scouting Mike Rikard. 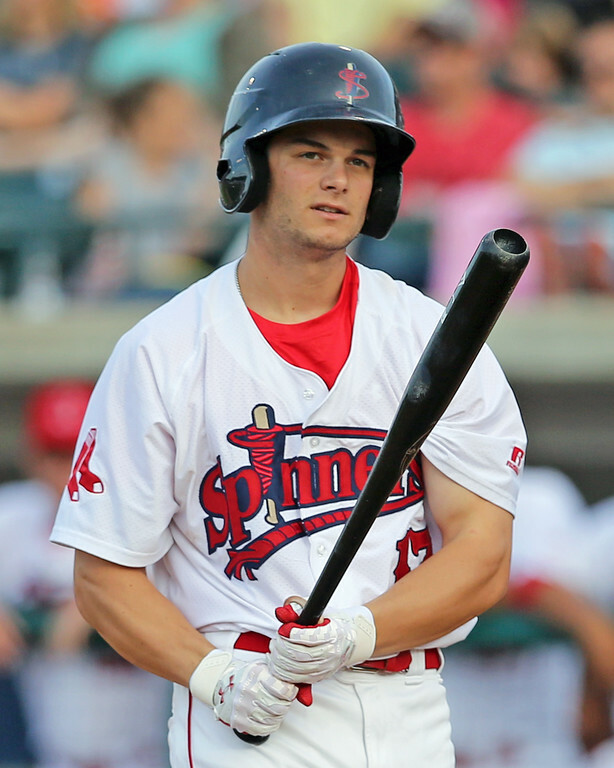 Rikard discussed the process that led to Andrew Benintendi (pictured, right) being his first pick as scouting director, whether the Red Sox envisioned Jay Groome would be available at pick 12 in 2016, and the early returns on the 2018 draft. 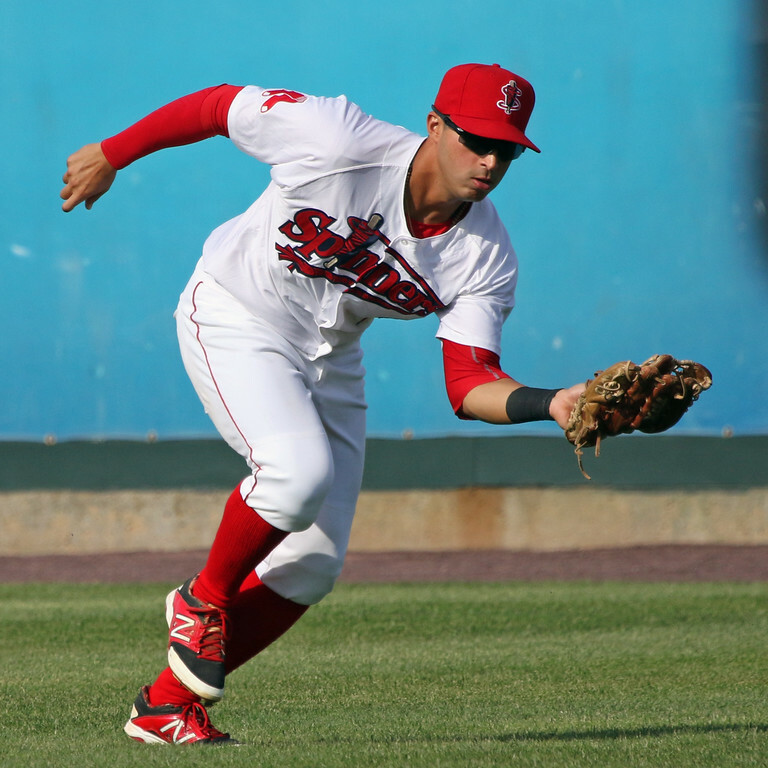 The SoxProspects.com scouting team has been busy updating scouting reports ahead of the 2019 season. The most recent updates include Triston Casas, Antoni Flores, Danny Diaz, Nick Decker, and Ryan Fitzgerald. Keep an eye on the Scouting Log which will be updated whenever a scouting report is refreshed. The countdown to Spring Training is on, and what better way to get geared up for the season than with a special guest: Red Sox VP of Amateur Scouting Mike Rikard! Mike shared insights on his career in the game-including almost 15 years with the Red Sox, the scouting process, and running a draft. With four drafts as the organization's scouting director under his belt, the guys also asked about some of his more noteworthy picks like Andrew Benintendi and Jay Groome, as well as the well-received class of 2018. Plus, Chris and Ian briefly discussed some of the team's slew of recent minor league signings.